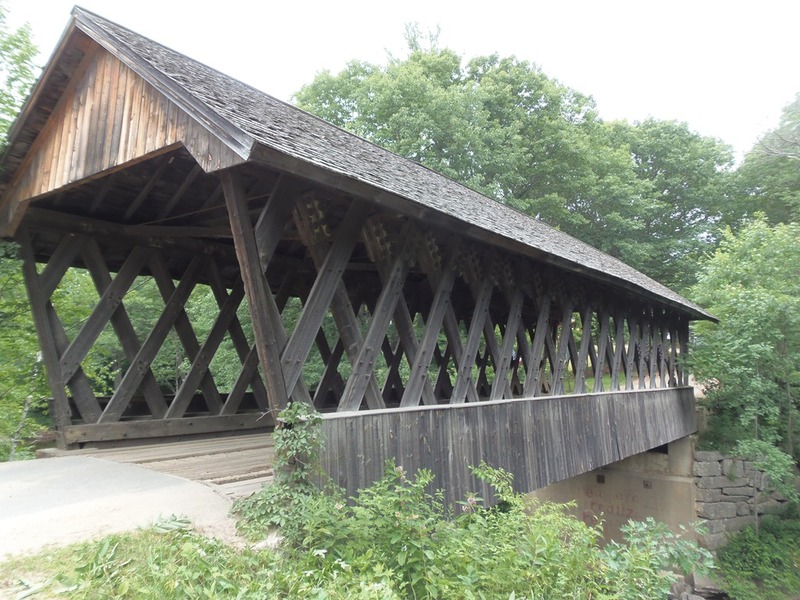 Spent a weekend at the Concord/Bow Hampton Inn for doing some sightseeing, specifically visiting some of the local covered bridges. Upon arrival of the inn, I got a bit of an unexpected sight, the outside of the inn is in the process of being renovated. Crews all around the building were working on replacing the buildings outer coating. A post on the door of the inn explained that the entire inn is undergoing a complete renovation that will cover the next ten months. Checking in was a simple process, I had already done the online check-in the night before, so all my stuff was ready, all I needed was to get my keycard and hear the orientation for the hotels amenities. A quick stop at the hot beverage station for a coffee and off to my room. 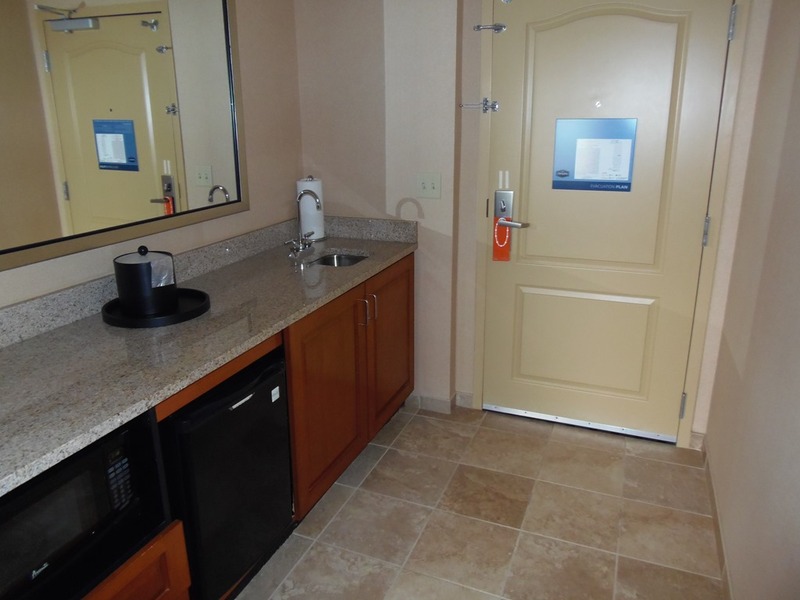 The hot beverage station is a great thing, available 24 hours. With medium roast, dark roast and decaf coffee as well as hot water for tea and cocoa. A collection of hot beverage condiments to prepare your coffee your way rounded out the station. 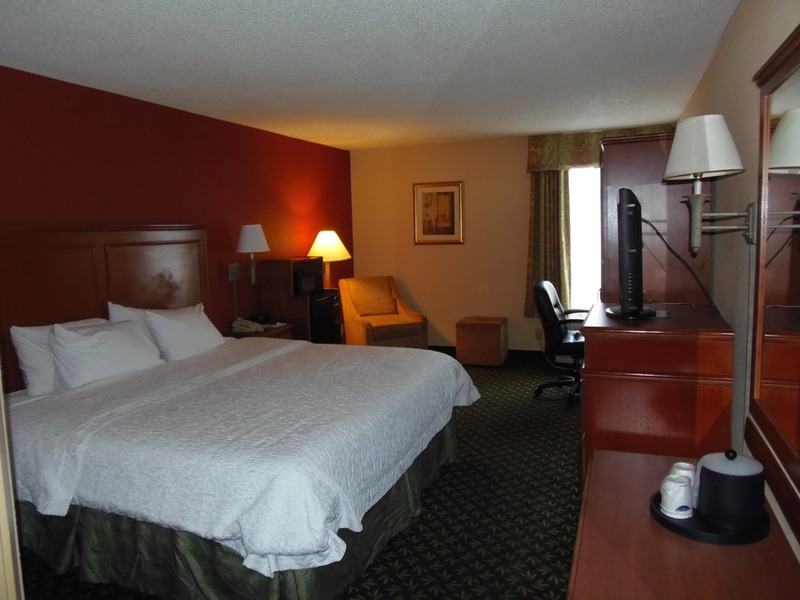 My room, a King Bed with microwave room, was at a comfortable temperature upon entering. 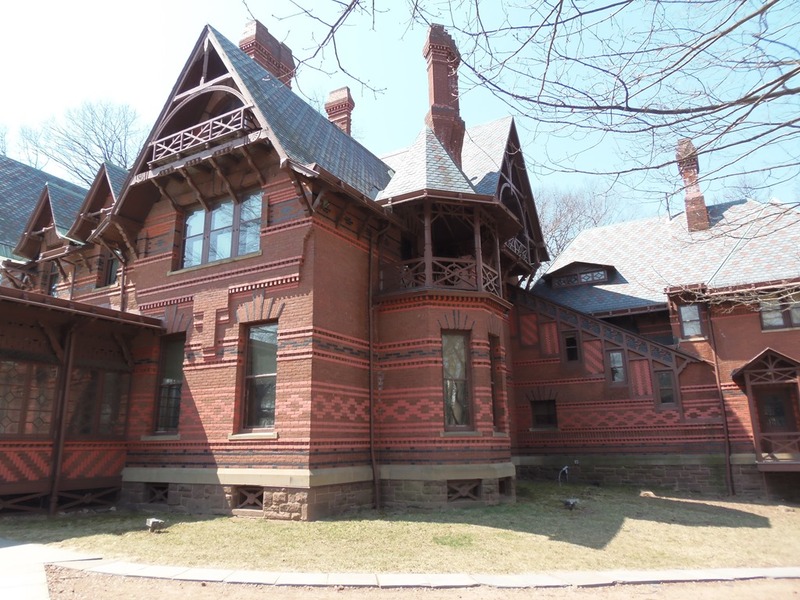 Besides the microwave, there was also a mini fridge, a single serving coffee maker, a television with a selection of local programing available and an iron and ironing board tucked neatly in the amour. 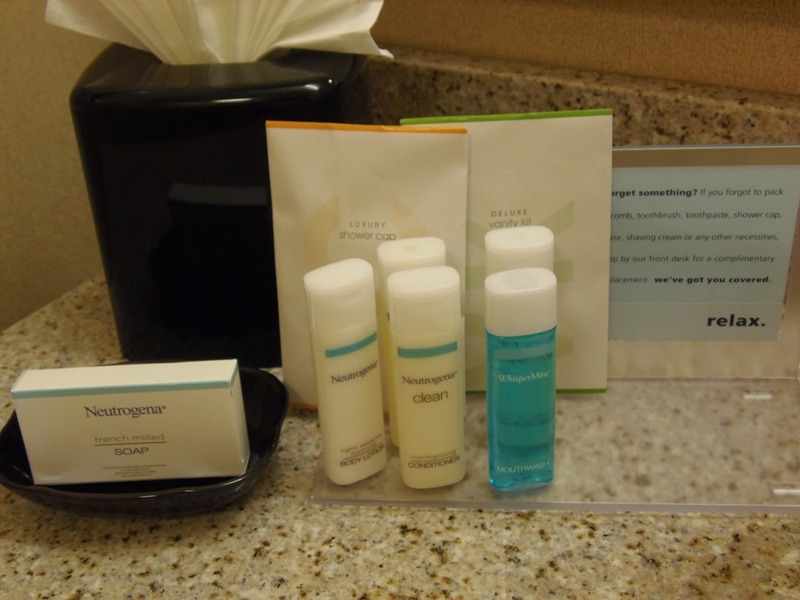 The bathroom was sparkling clean with a selection of Neutrogena bath products for usage, a wall mounted hair dryer, as well as tub/shower, a selection of fresh towels rounded out the bathroom. While I am away on a weekend I keep in touch with my friends via Skype on a tablet. The tablet is also my main entertainment while in my room, so I rely on good Wi-Fi. Here the Wi-Fi was a bit spotty, while on my Skype call with my friends, the Wi-Fi cut out a few times causing my call to drop. It would reset after a minute or two, but still a bit annoying. Overnight was nice, the bed was comfortable, with nice fresh linen. 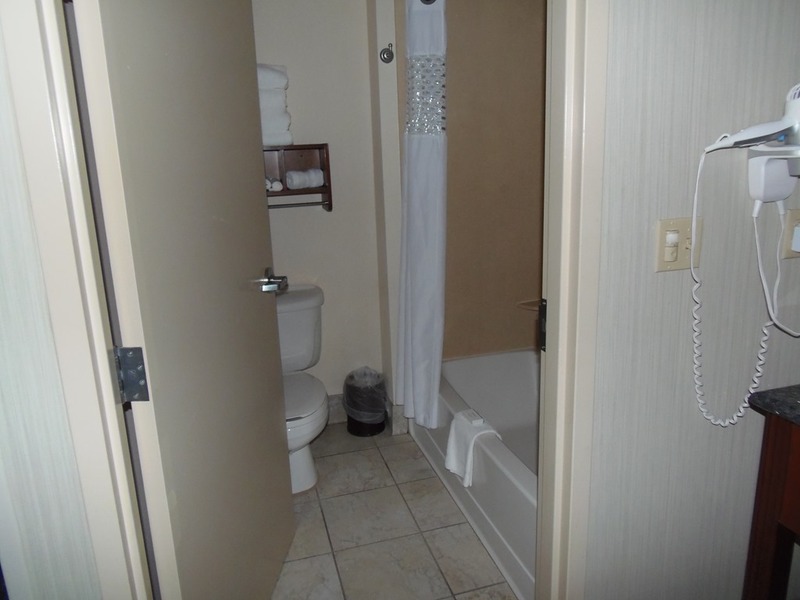 The room seemed quite soundproof as I heard no outside noise and just a faint bit of sound from the hallways. The blackout blinds did a great job keeping out that night time lighting as well as the morning sun. The room had an alarm clock that seemed easy enough to set. Morning comes with the complimentary breakfast buffet. A nice spread with plenty of choices. I had a couple of slices of toast, freshly toasted by me in the available toaster, as well as bowl of oatmeal, a couple of strips of bacon rounded out my breakfast choices. 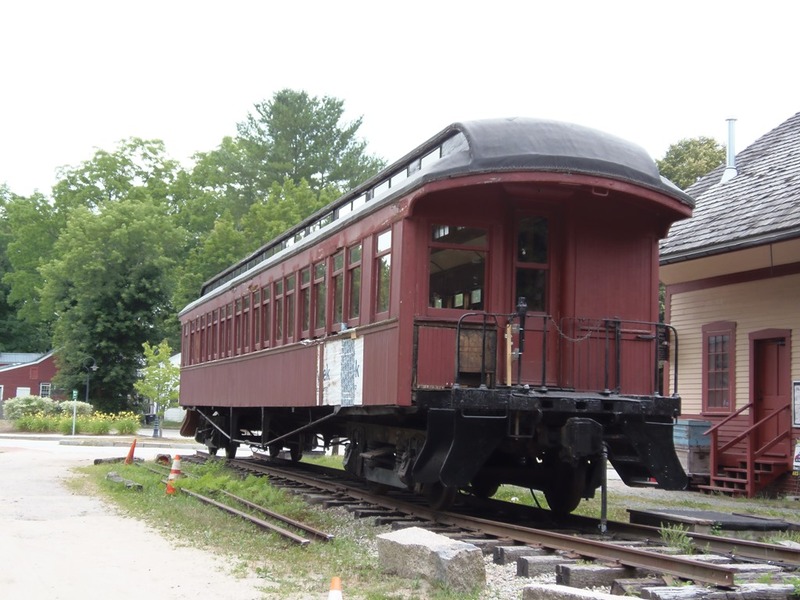 There were also home fries and scrambled eggs in the chafing dishes, a station to make your own waffles with plenty of topping options, a small selection of cold cereals, a selection of breads and pastries and to round it out a nice selection of fresh fruits. Coffee from the hot beverage bar rounded out my morning. Out for my adventures of the day, returning to my room was as much a joy as my first entering the day before. Housekeeping had been by and had my bed made, freshened up my bathroom and replaced all that I had used the night before. The second nights sleep was as nice as the first, quiet and comfortable. After breakfast the second morning, it was to check out and headed home. Check out is at noon here and gave me plenty of time for breakfast, a nice shower and getting packed before I had to hit the road. Check out was simple enough, stop by the front desk, turn in my key cards and get my receipt. Then on the road for my drive home. The staff were friendly and helpful. I have already got a weekend for next year booked here. 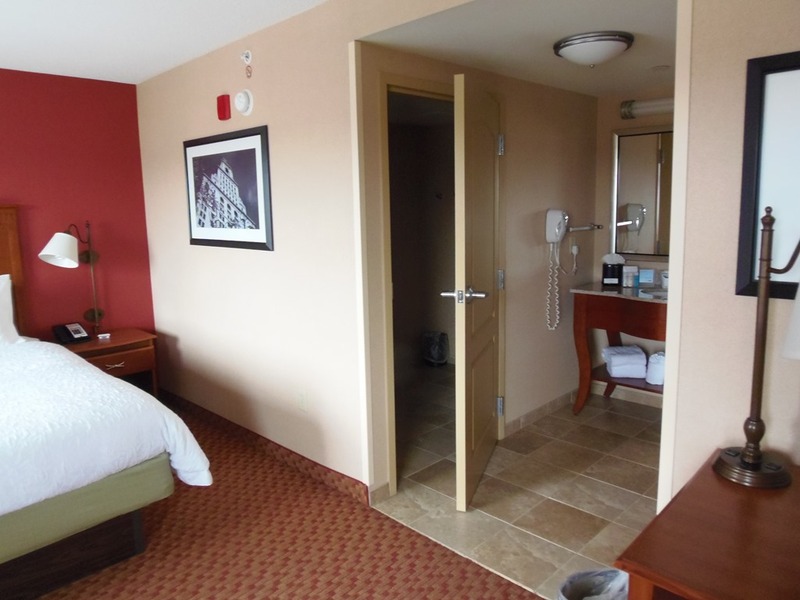 Thank you to the entire Bow/Concord Hampton Inn staff for making my weekend a comfortable one. Woot woot, summer is here. July has arrived, and another weekend trip has come to pass. This time I was doing some, well, sightseeing. 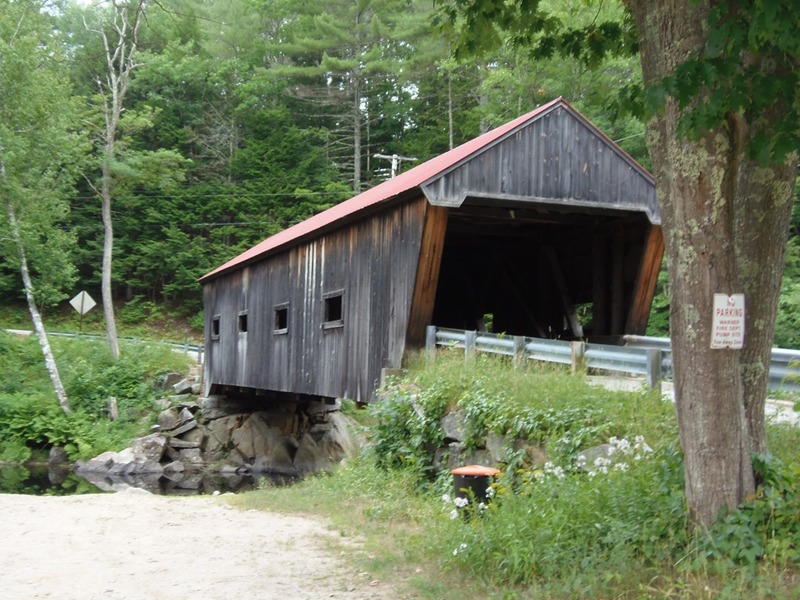 A Saturday of driving around to some of New Hampshire’s covered bridges. My weekend started after work on Friday, and it turned out to be an early work day for me. This is a good thing when traveling during the summer months, it gets me out ahead of the heavier traffic, and this early day was no exception. The drive was nice, no traffic, a bright sunny, warm afternoon. Arriving at the Hampton Inn Bow/Concord gave me a bit of a surprise. The Inn is undergoing renovation, the outside was the current focus, residing and repairing of the outer walls was well under way. Check-in was quick and easy, as I had already done an online check-in the night before, I had my room picked out and all info had been entered, so all I needed to do was get my room key cards from the front desk. 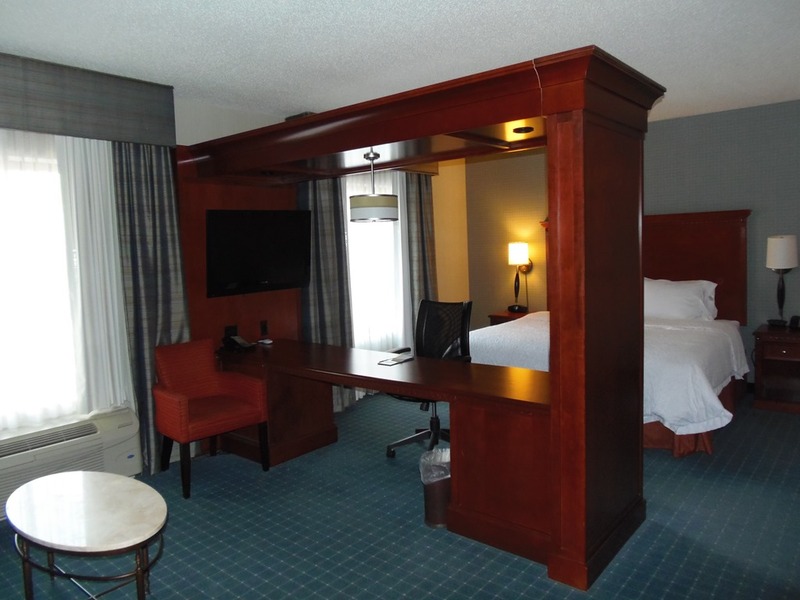 A quick rundown of the amenities from the desk clerk and I was off to my room, a King Bed room. After a nice after work shower and a bit of relaxing with the music from Pandora playing, it was out to find me some place for dinner. After a bit of driving around I found the local retail district. A drive up and back to see what was available, I decided on a restaurant I have not tried as of yet, Ruby Tuesday. Dinner was good, and the price was fair, Ruby Tuesday’s will be on my radar from now on. I had the Broccoli Cheese soup for a start, followed by the Sirloin and Shrimp with fries and the grilled zucchini. No wait time for seating and my server, Lauren, was very cheery and her service was spot on. The restaurant was not very busy, so not a lot of noise to contend with, making for a nice dinner. Not much else for me to do in the area at night, so it was back to the hotel for a relaxing evening chatting with my friends. Wi-Fi in the hotel seemed a bit odd, kind of off and on. Had some fun conversation with my buds. Sleeping was good, comfortable bed and a quiet room for the overnight. Morning and complimentary breakfast at the hotel, a bowl of oatmeal, a bagel and some scrambled eggs, to start my day. I knew I was going to be active for the day. The day was a bit overcast, but not really threatening rain, making my plans for the day going forward. Headed out from the hotel towards my first planned bridge, Keniston Bridge in Andover. 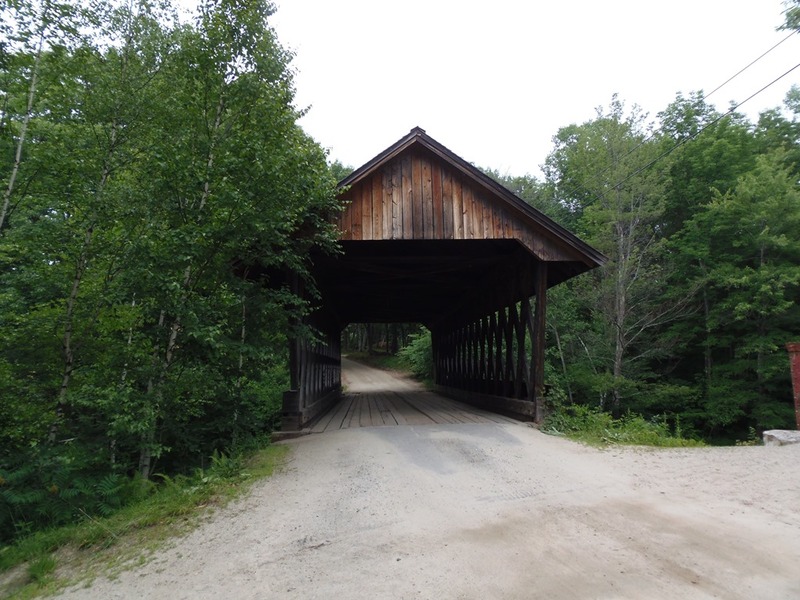 Easy to get to, the bridge is still in use. 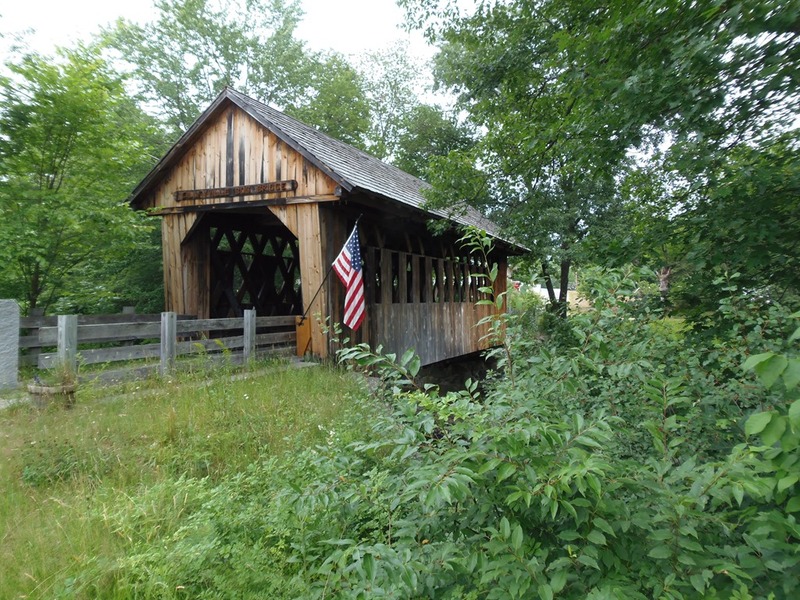 Next up, Cilleyville Covered Bridge, also in Andover and not too far from Keniston. 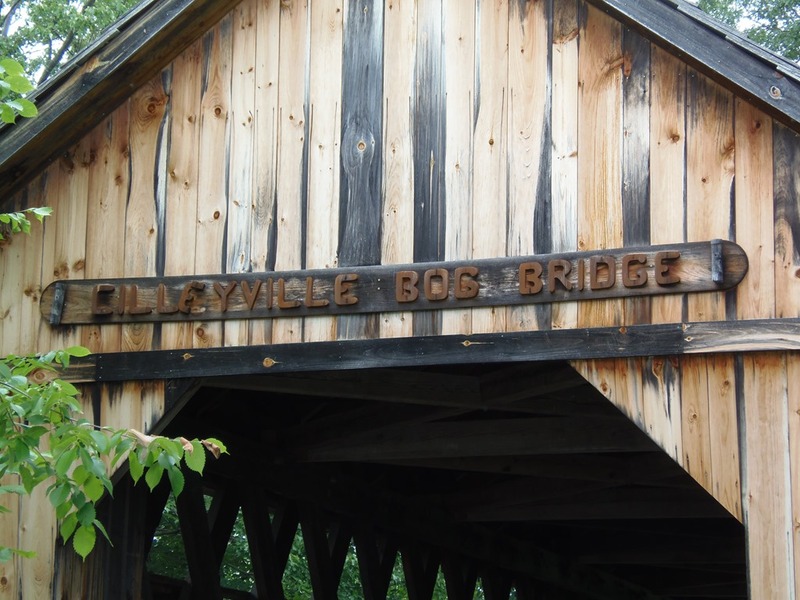 Cilleyville bridge is closed to traffic, there is a small parking area for people to get out and walk across or enjoy a picnic at the table set up in the middle of the bridge. 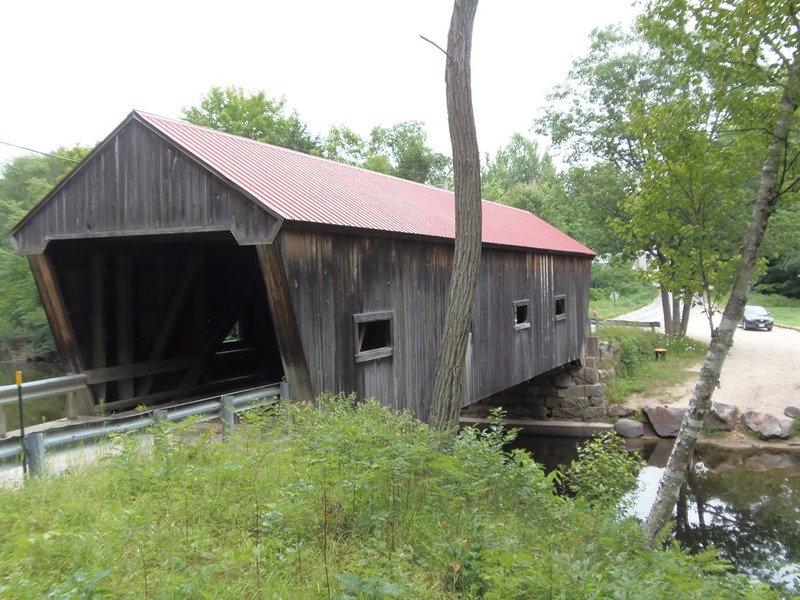 A bit of a ride to the next bridge, Waterloo, located in Werner. Warner is also an open bridge. 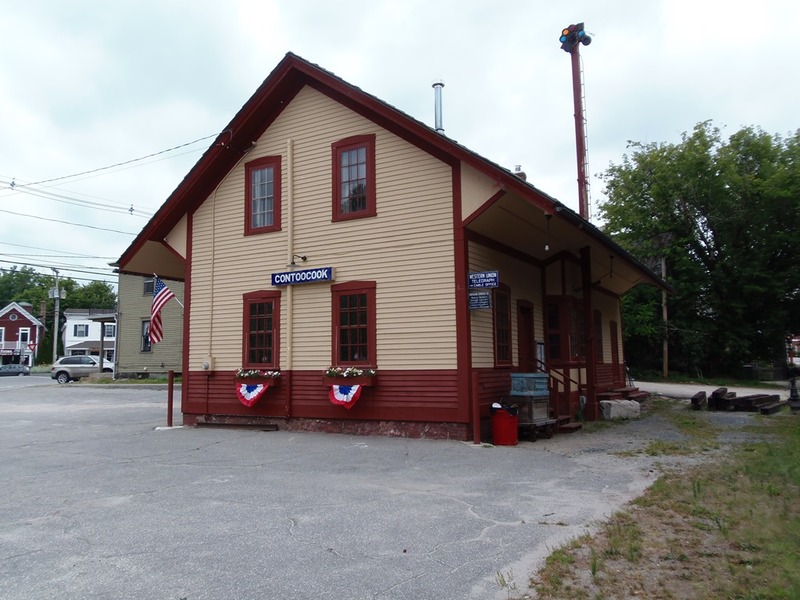 Dalton Bridge was my next destination, the drive there had me driving by the New Hampshire Telephone Museum. I decided this would make a good, random, impulsive stop. I chose to visit my last planned bridge and come back after. 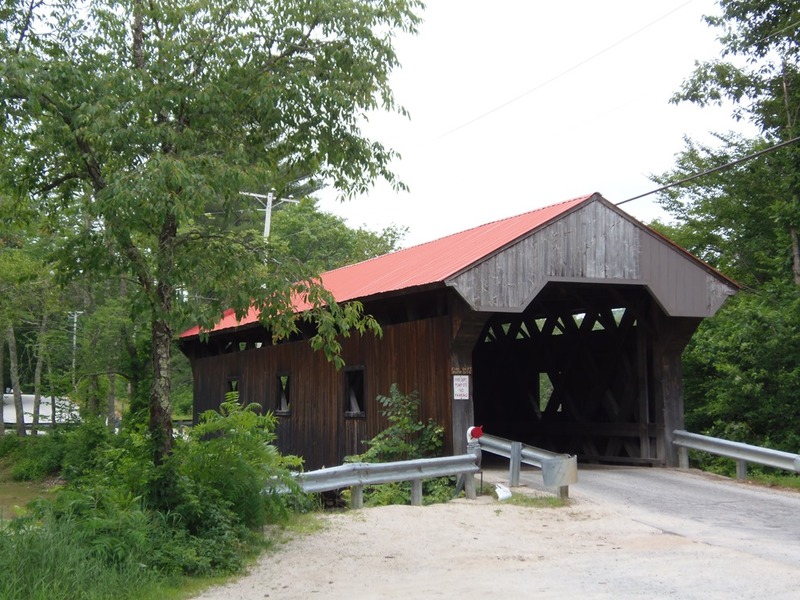 Dalton Bridge is also located in Warner and is an open bridge. The ride to the next bridge was a bit long and odd. 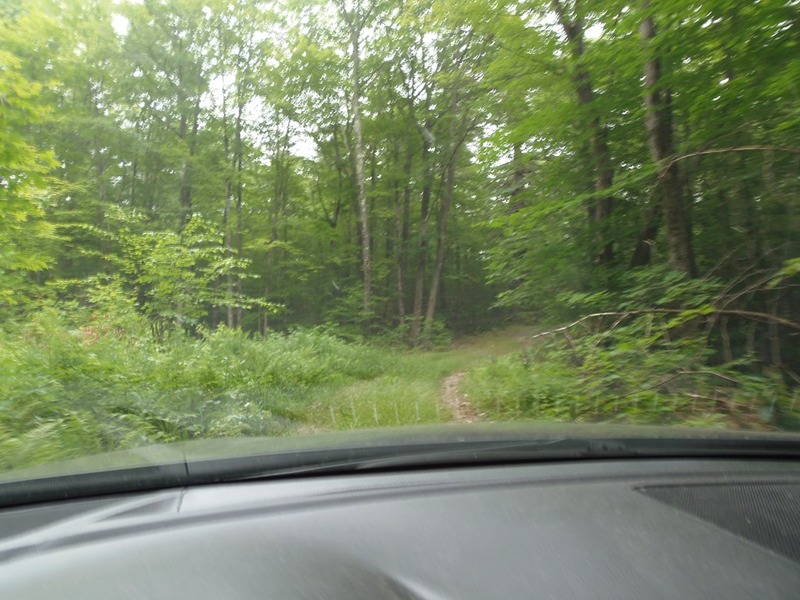 My GPS brought me through the woods, over a very grassy road. 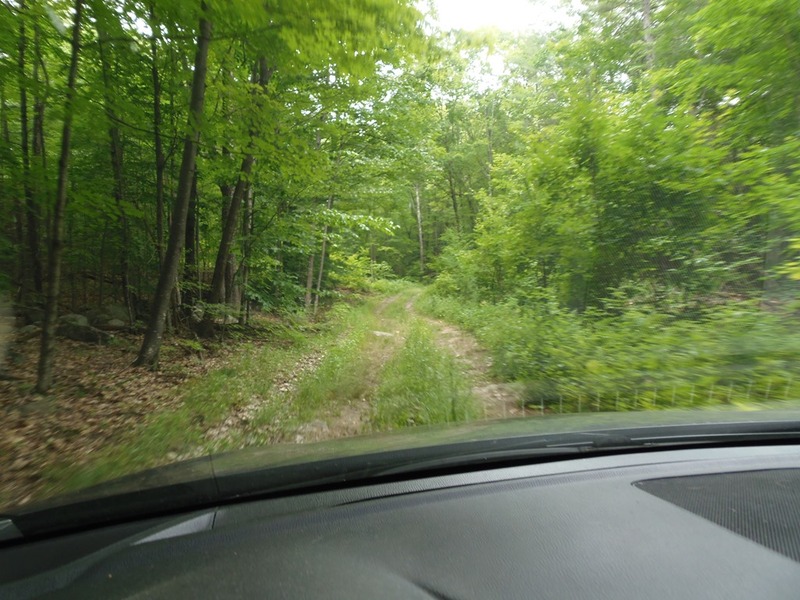 Not sure why my GPS brought me through such an odd drive, but I did find it to be fun. 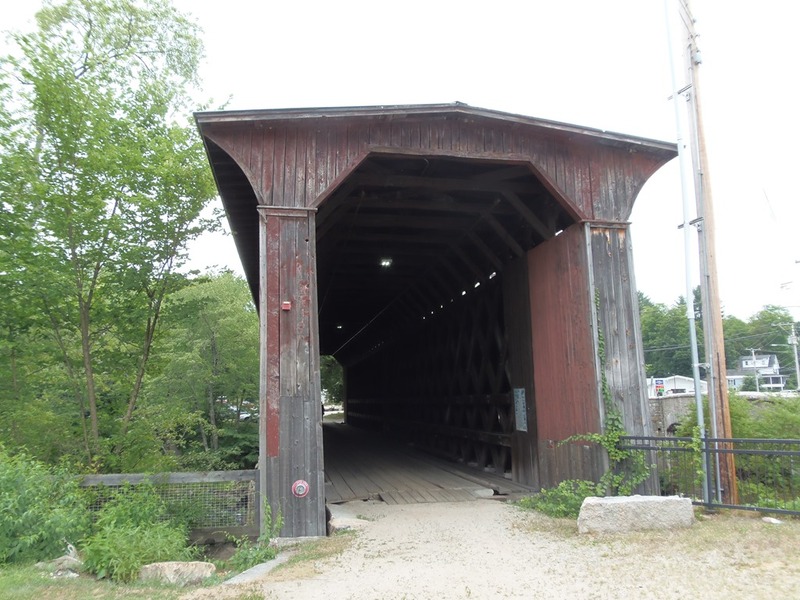 The last bridge on my planned route was Railroad Bridge, located in Contoocook. Railroad Bridge is exactly what it sounds like, an old railroad bridge. Closed to all except for foot traffic. 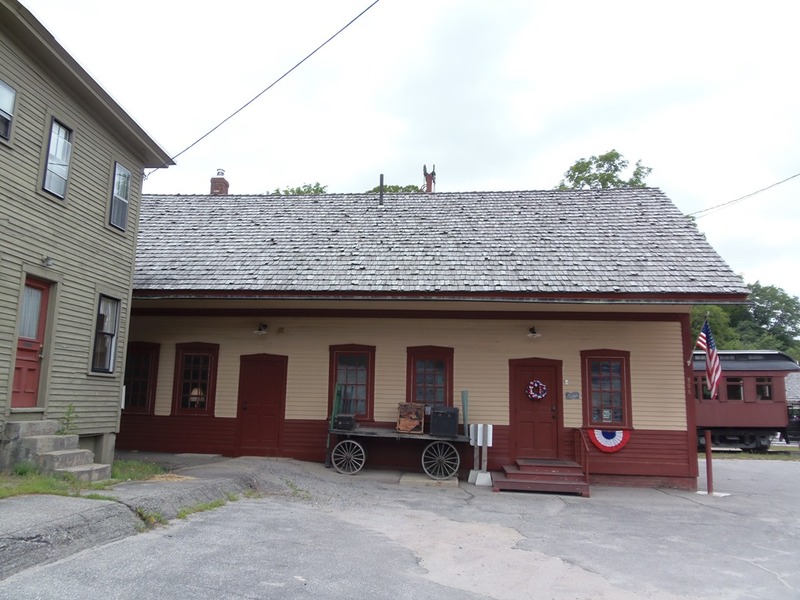 On one side stands the old Contoocook train station, I am not sure if there is any business located inside as it looked closed. 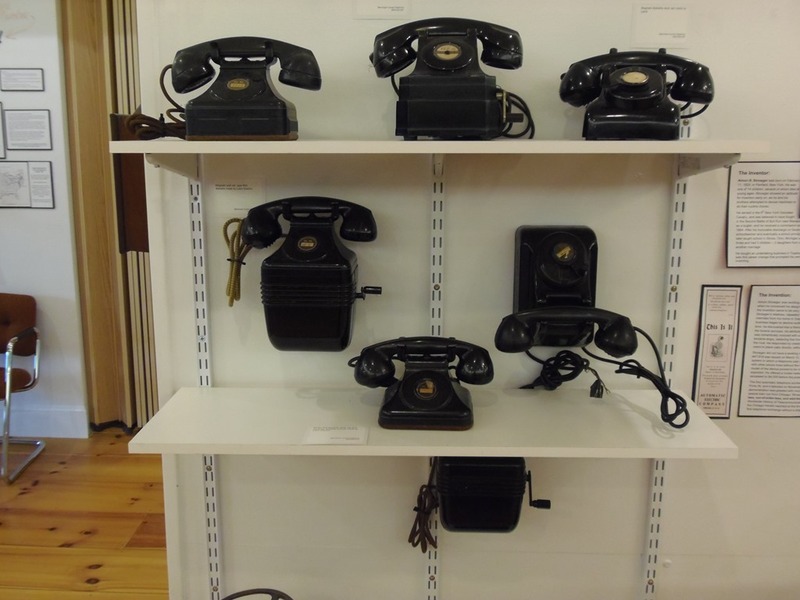 Still early in the afternoon, I decided to go back to the New Hampshire Telephone Museum. I am glad I did, a very small looking building on the outside, loaded with plenty of telephone history. 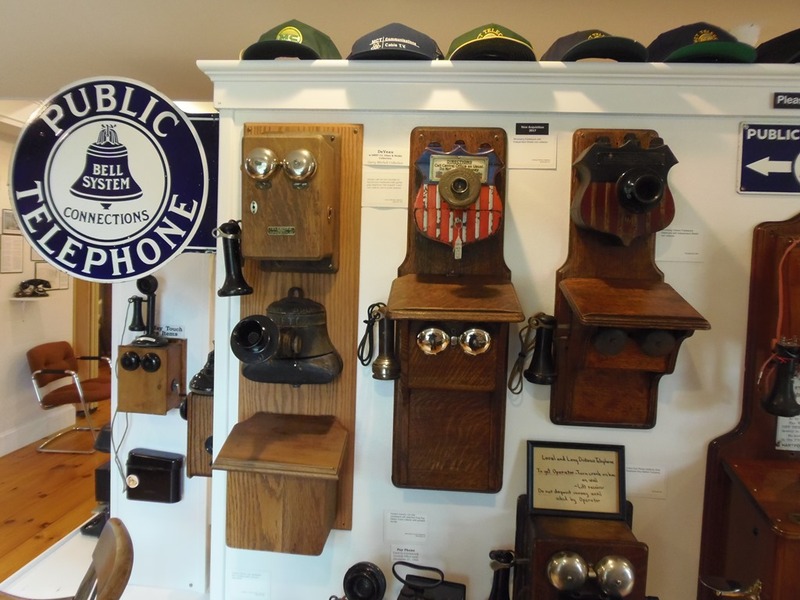 Great look at Mr. Graham Bell’s telephone history as well as some local telephone history. 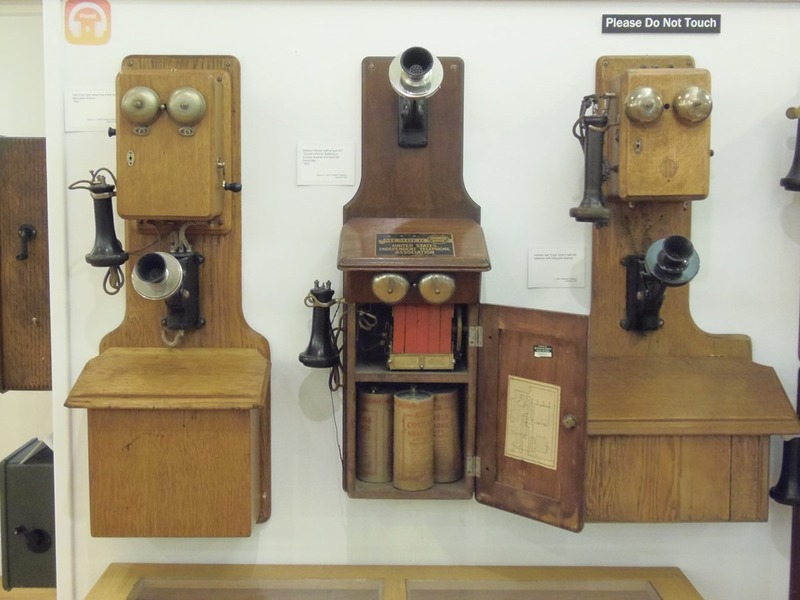 A great collection of telephones throughout history to peruse. 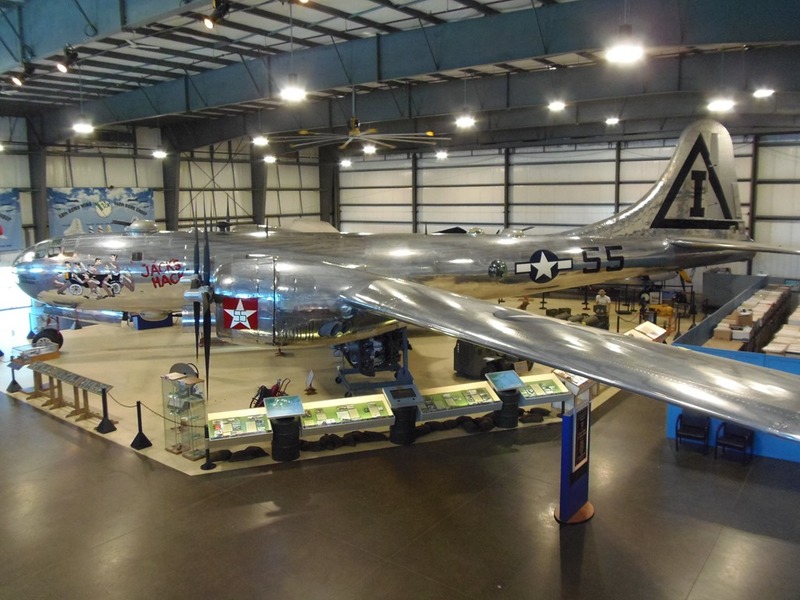 I spent about two hours taking the self-guided tour and enjoying the experience. From the museum I headed to Applebee’s to get my self some dinner. Fish and chips was on my mind all day, so fish and chips was my dinner. I was feeling a bit tired, so I got my dinner to go and headed back to my hotel room for the evening. Second nights sleep was a good as the first. Breakfast was light as I knew I had my drive home ahead of me. I had a bowl of oatmeal and some toast with a cup of coffee. Checking out was a simple procedure, turn my room key cards in and I was out the door and headed home. Sunday traffic was light and my drive home was uneventful. 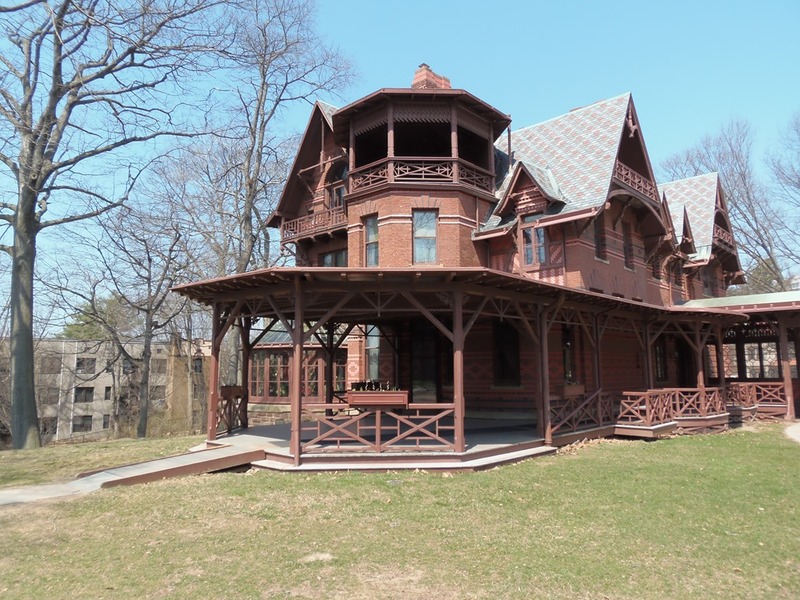 Had a recent weekend trip to Farmington Connecticut to visit the Mark Twain House and Museum. 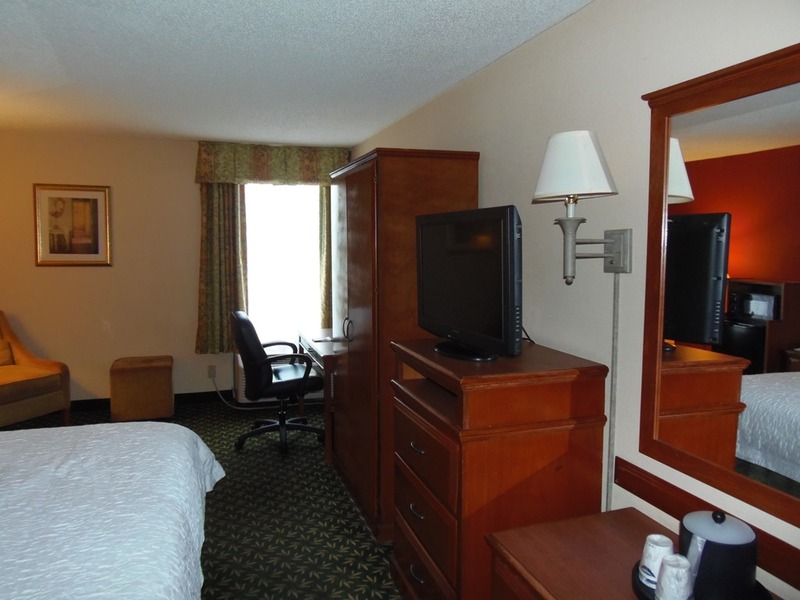 My chosen place to stay was the Hampton Inn & Suites Hartford/Farmington because it was close to the museum, about a 15-minute drive away. 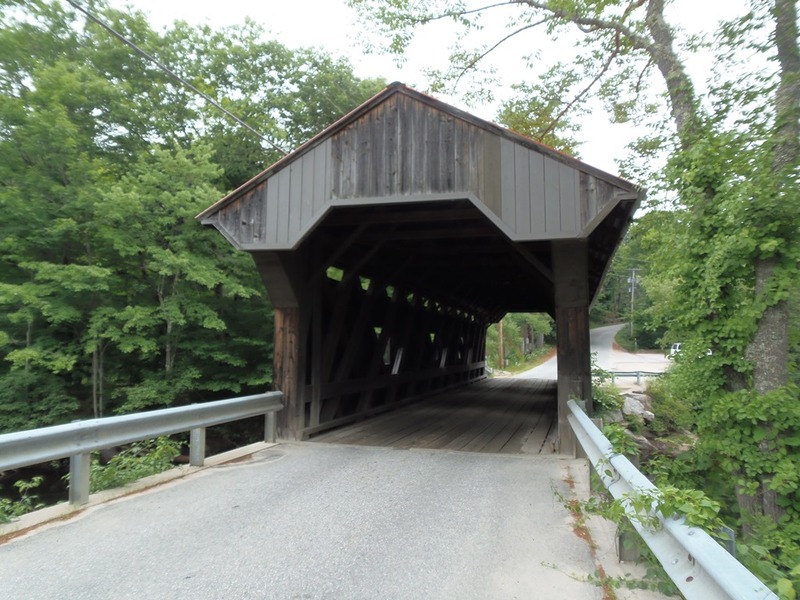 The Inn is located right off route 6 and a short drive off of Route 84. The surrounding area is mostly residential, making for a quiet area. Parking for the Inn was plentiful. Check in was quick and easy, a visit to the front desk, get my key cards and the clerk handed me a list of local restaurants as well as two menus to restaurants that deliver to the hotel, a pizza and sub shop and a Chinese restaurant, a quick stop at the 24-hour hot beverage station for a coffee and I was off to my room. 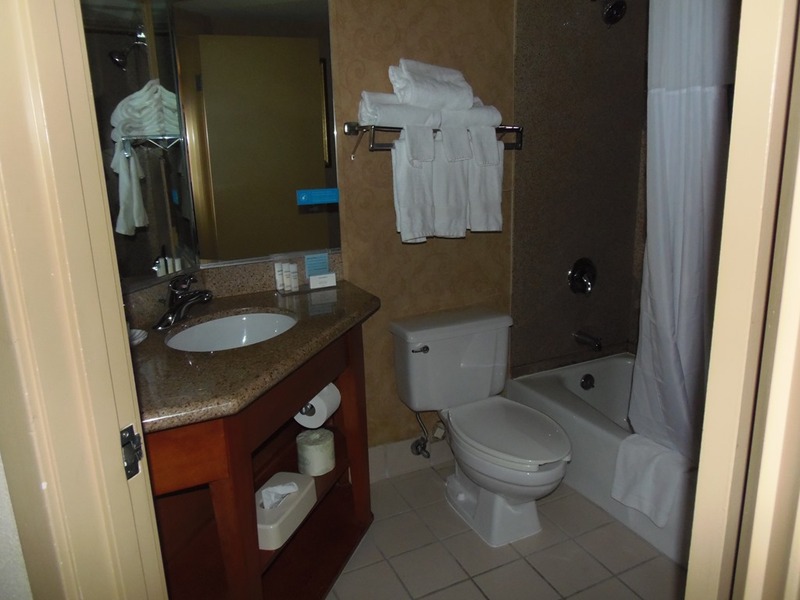 The bathroom had nice, clean and fresh towels, a collection of toiletries and a hair dryer. 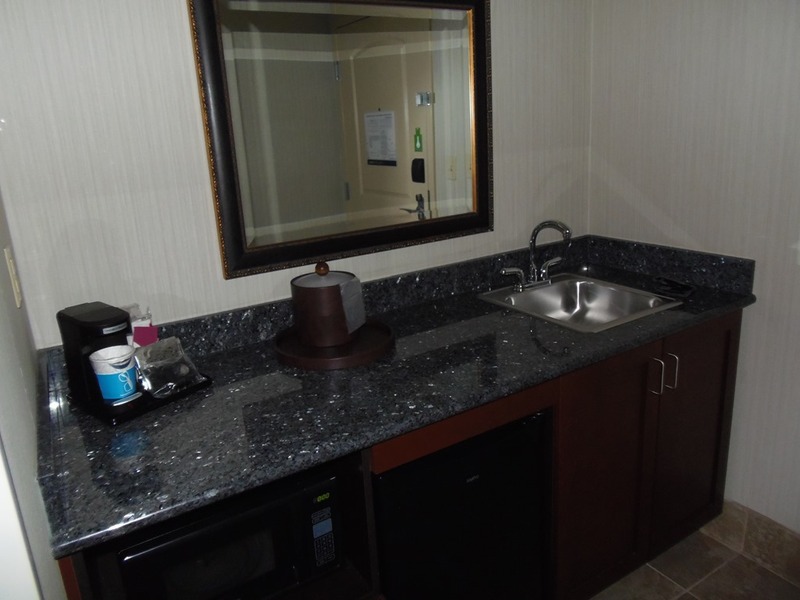 There was also a little nook with a good-sized counter with a small sink, a coffee maker and a collection of coffees and teas, a microwave and a mini fridge rounded out the area. Headed out for a bit of shopping for the evening, then back to my room and ordered the Chinese takeout from the restaurant the front desk gave me on check-in. The order was delivered in a timely fashion, I got a call from the restaurant just before delivery asking if I wanted to meet the driver in the lobby or have it delivered right to my room. I was in the mood to get a coffee, so I met the driver in the lobby. Kicked back and relaxed, watched a bit of television, plenty of local broadcast to choose from, the to bed. 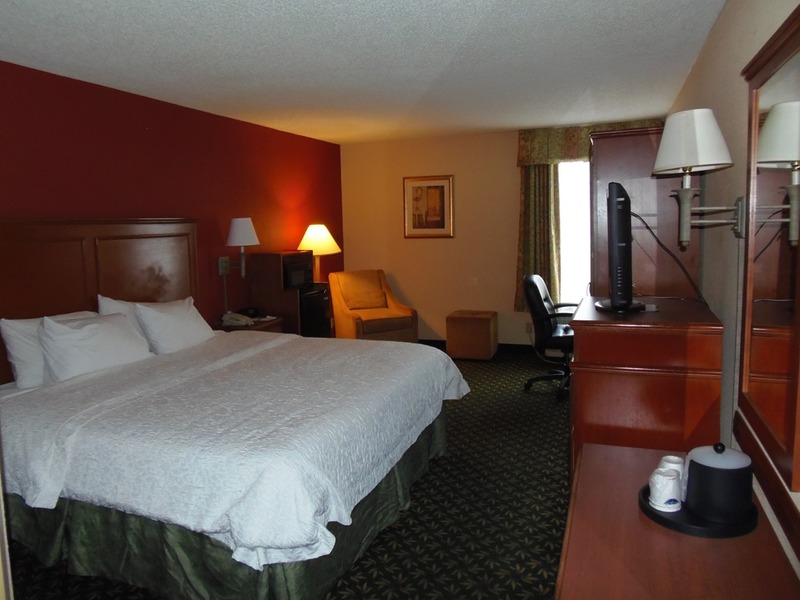 The bed was very comfortable, and the sheets and comforter were clean. I heard very little sound come in from out side and the light blocking blinds did a great job keeping out all light, including the morning sun. Morning brings a complimentary breakfast buffet. Plenty of choices to go with, fresh breads and bagels with a toaster for do it yourself, a chafing dish full of scrambled eggs, sausage patties, and home fries. Oatmeal and cold cereals are available as well as some fresh fruits. The hot beverage station is there for your morning coffee. Headed out for my days explorations. On my return to my room I hit my first and only problem. I was booked and signed in for a two night stay. Getting to my room I found my key card would not open my rooms door. It wasn’t a real big deal, I went back to the front desk, told them the problem and they promptly reset my key card. Back to my room, and the key worked. 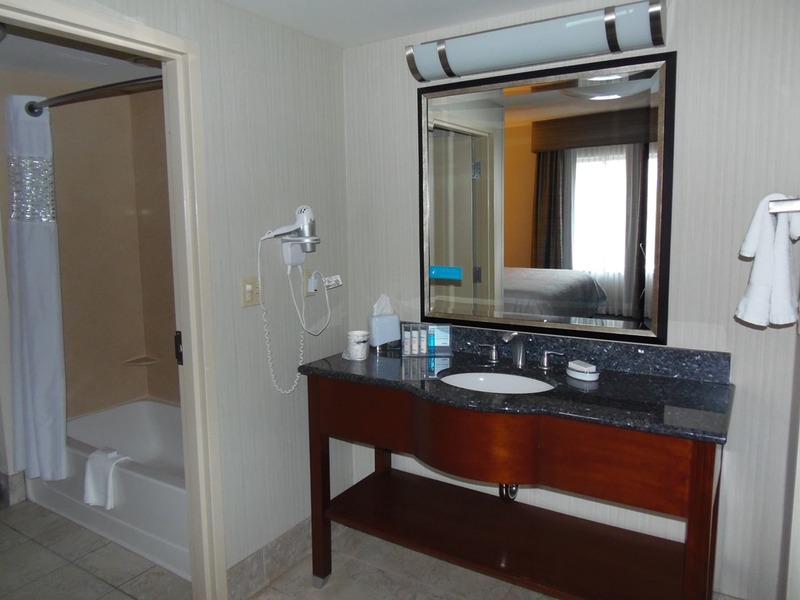 My room was cleaned, new fresh towels and the toiletries I had used where replaced. The bed was cleanly made and the coffee and cups that I had used had been replenished. Enjoyed some leftover Chinese for dinner. The second evening had me on Skype with a couple of my friends from Canada and Detroit. We were on to watch a Formula One race. The WiFi worked great and I had no drop outs with either the call or the broadcast onto my tablet. Had a second great nights sleep. Morning had me getting a light breakfast because I knew I was going to be spending a few hours in my car driving. Check out was as quick and easy as check in, turned in my cards to the front desk and an the road I was. 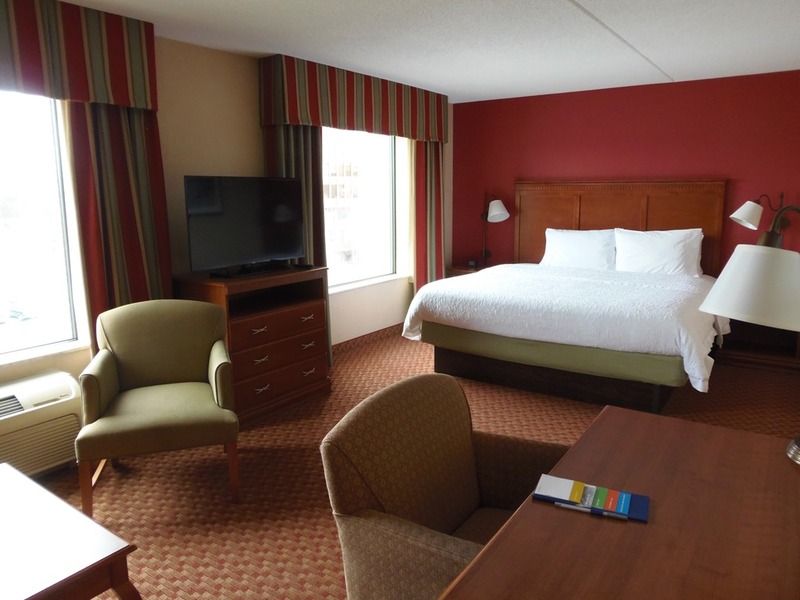 My visit to the Hampton Inn Farmington was relaxing and enjoyable, the next time I am going to be in the area this will be my destination. Thank you to the staff of Hampton Inn Farmington. 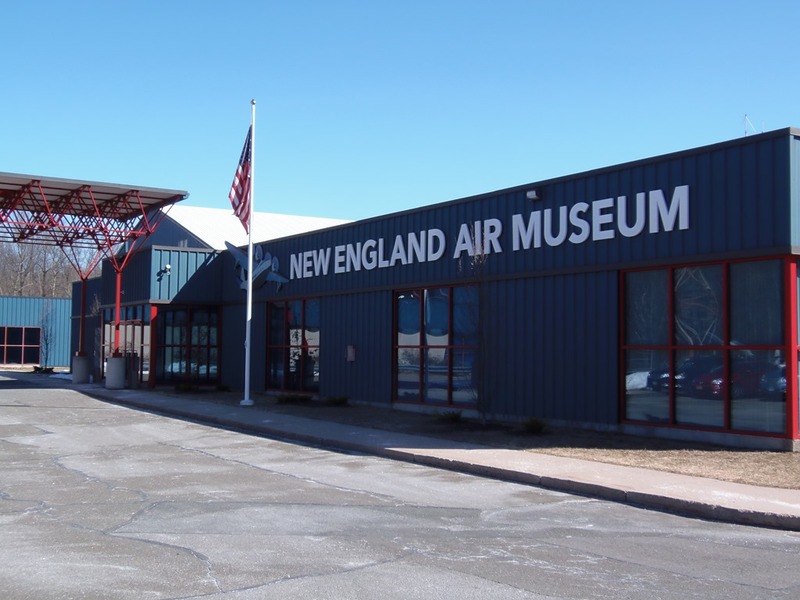 I was in Hartford for a weekend to visit the New England Air Museum, and the East Hartford Hampton Inn and Suites was in a great location for my visit. 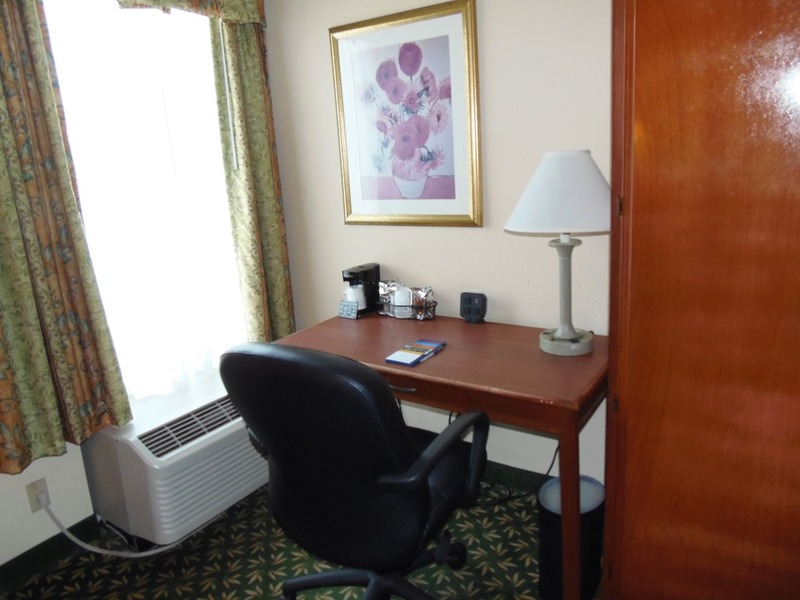 Located right off of Route 84, Hampton Inn Hartford has a nice central location. Arrival at the inn in the mid afternoon and checking in was a quick and easy process. 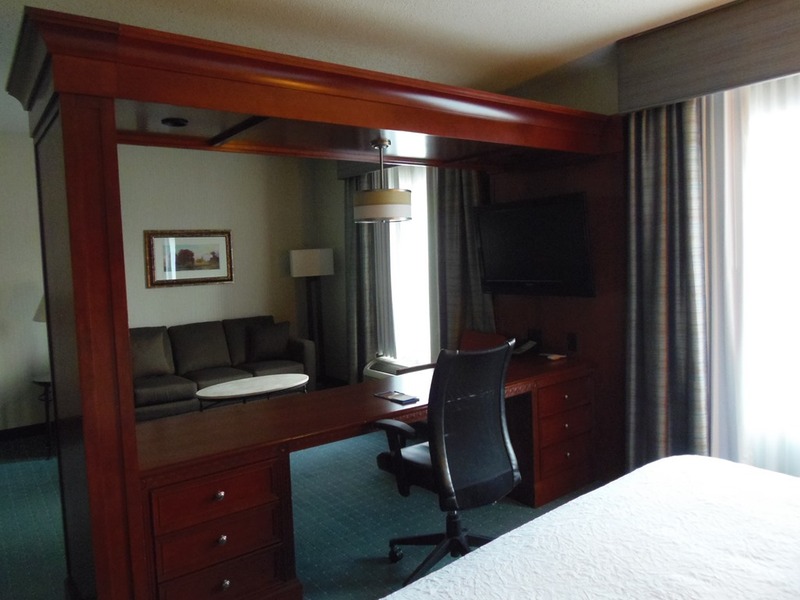 I had already done an online check-in the night before and everything was ready for my arrival. A quick orientation about the inns amenities, a cup of coffee from the 24-hour hot beverage station and I was headed to my room. My room was a 1 King Bed Studio Suite. The room itself had a good amount of space. 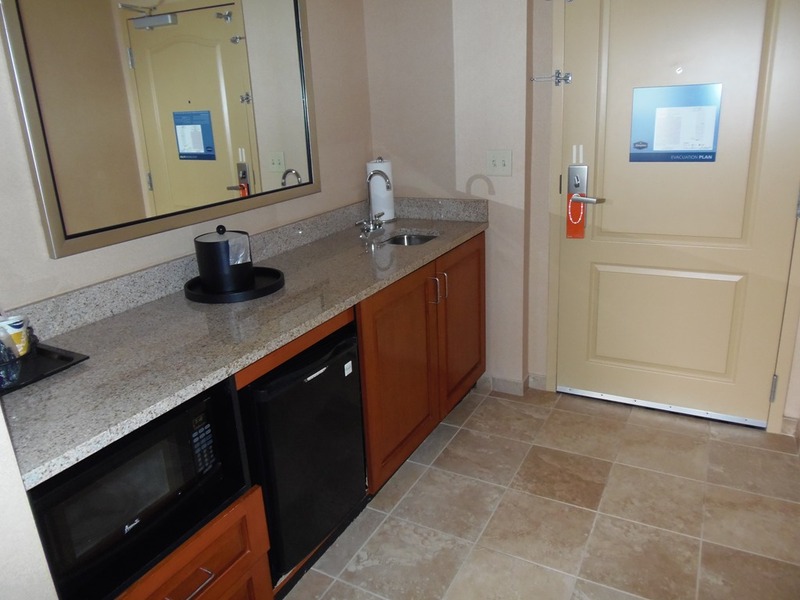 Right inside the door is the kitchenette type area which includes a minifridge, a microwave, a coffee maker and a small sink, on a good sized counter. 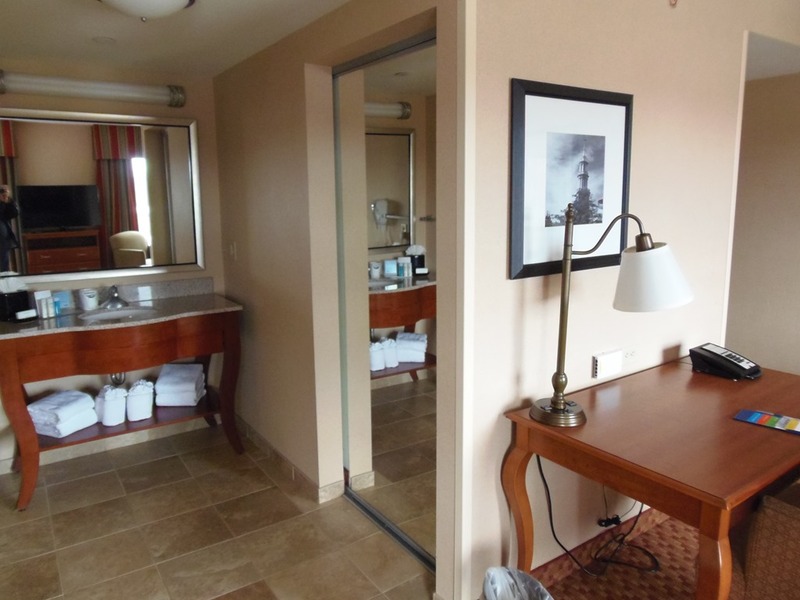 The main room had the bed, of course, a couch with a pullout bed, a desk and a bureau with the television on top. 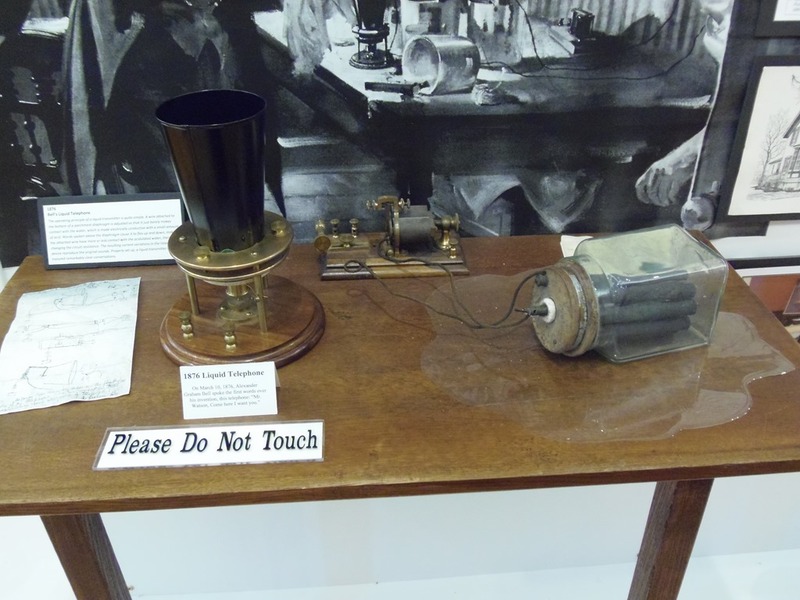 The television had a lot of local programming as well as some pay-per-view programming available. For me while I am on a weekend, I like to keep in touch with my friends via skype, so a good WIFI internet connection is important to me. I had no issues with the connection though out the entire weekend. Besides skyping, I was able to stream Pandora without interruption and even watched a movie, again with no problems. Morning comes with the complimentary breakfast buffet. The coffee station was open for business and flowing freely. The staff was doing a great job at keeping everything full. For me, breakfast was a couple of slices of toast, freshly toasted by me at the toast station, a bowl of oatmeal, and some ham and cheese scrambled eggs. All was freshly cooked and tasty. There are plenty of other breakfast items available to choose from, including a self serve waffle station. After my days adventures I was looking forward to a late afternoon of relaxing before dinner, so back to my room I headed. Returning to my room I found it cleaned and refreshed for me, my bed was freshly made and towels have been replaced. After another great nights sleep and a nice fresh breakfast, I was getting ready to get back on the road for my drive home. Check out was a quick and easy process, turn in my key card and have a receipt sent to my email and I was on the road home. Thank you to the entire staff of Hampton Inn and Suites Hartford/East Hartford for giving me a wonderful and relaxing weekend.